Happy Labor Day! Instead of posting my usual Tuesday post this week, I wanted to go ahead and get this post up today while you can take advantage of the sale prices! I love nothing more than being told someone is looking for something specific. My mom told me a couple of her friends were wanting to add some new jeans to their fall wardrobe, so I am SO happy to share my picks with you today! 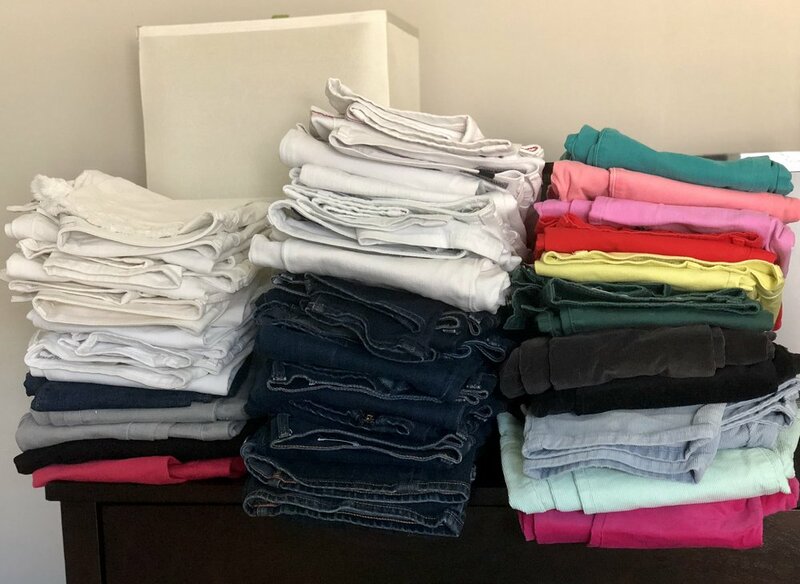 This request came at the perfect time too because I just went through all of my jeans on Saturday and decided what to keep and what to get rid of. My favorite brand of designer jeans is AG. However, I noticed that the pairs I kept the most of were actually my Old Navy Rockstar jeans and curvy jeans from Loft. In my opinion, they are the most comfortable and flattering jeans I own. So today I'm going to share my favorite jeans from Loft that you can get for 40% off and my favorite jeans from Old Navy that you can get for 50% off plus an additional 10% off with code EXTRA. The two options of jeans styles at Loft are curvy and modern. I discovered last year that the fit of the curvy jeans is my very favorite! They are stretchy which makes them very comfortable, but they don't stretch out. They are also higher waisted than the modern fit and very flattering. The website describes the curvy fit as contoured to flatter hips and thighs. Ummm yes please, I would like all of my jeans to do that! I hope you have a great Labor Day, and if there is ever anything you want to see on my blog, don't hesitate to reach out! Thanks so much for stopping by! And to check out more sales, you can click here to see the full blog post where I shared all of the best sales happening now!